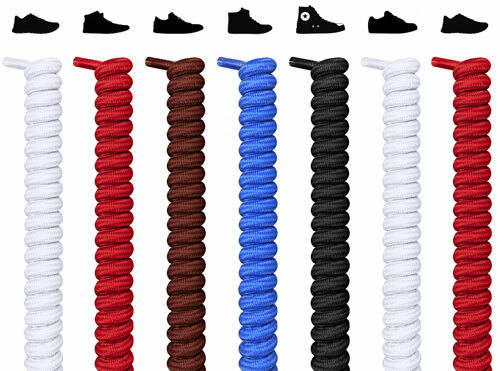 Oval Shoelaces. Crafted for the Active. Oval shoelaces are for people going places. 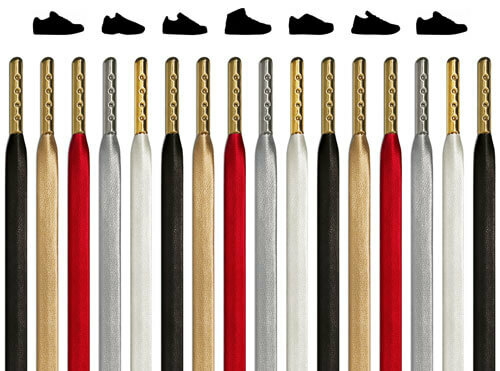 Running, jogging, climbing, pedaling, or bouncing in place waiting for the cross-walk signal to keep your heartrate up, whatever you're out doing, oval shoelaces keep your pumps in place while you're pumping up. Do Olympic athletes wear oval shoelaces? They sure do. 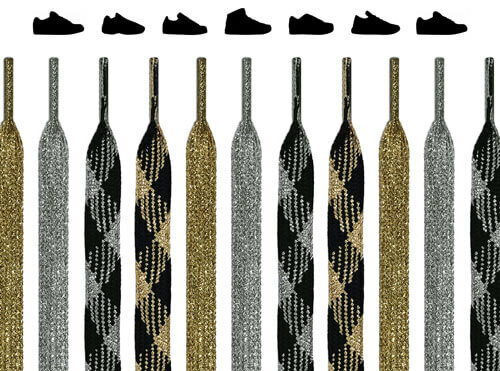 Are the laces responsible for the gold medals? Absolutely. 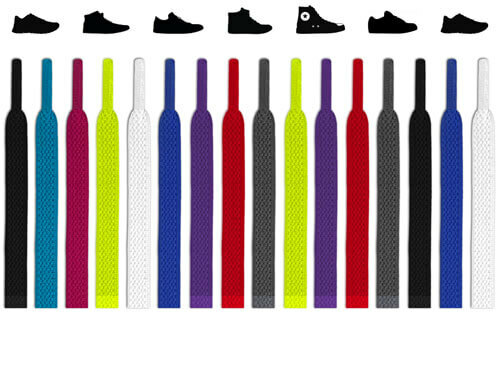 - Ideal for athletic/sport shoes, but be easily used for all shoe types. - Primarily polyester, alongside additional, high-quality raw materials. - Durability: 9/10 – High-quality threading ensures a long lifetime. 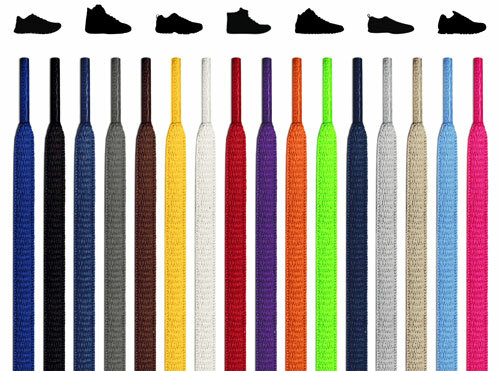 - Available in 9 lengths: 28", 35", 44", 51", 60", 70", 80", 100", 120"
Oval shoelaces always give 110%. And they fit into almost 100% of shoes. FeetUnique always offers the standard width, because no one wants to get a pair that's too thick. (We were the ones who started the #SickOfTheThick hashtag movement.) 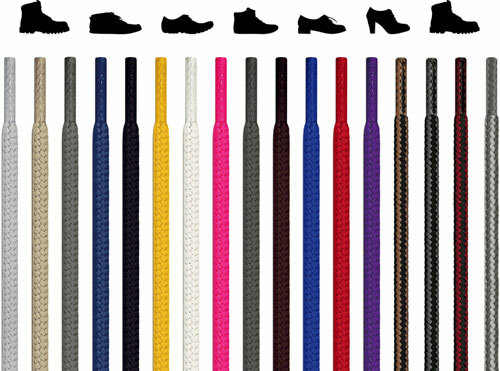 So rest assured that, no matter what length, color, or design fits your fitness goals, the oval laces will fit right in. Plus, imagine if you caught a lace on something and needed to replace it? Skip the unexpected cheat day and pick up a pair just in case! When it comes to squeezing out every last calorie, burning every cell of fat, the details can matter no matter how small. 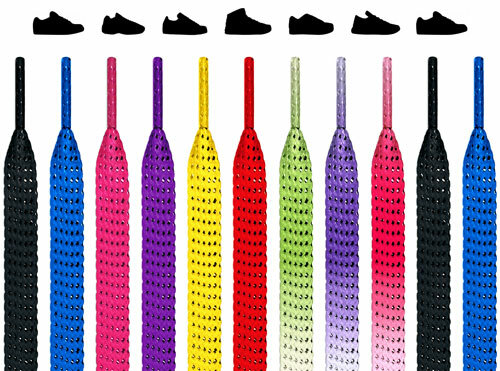 But believe it or not, oval shoelaces aren't just a small detail. 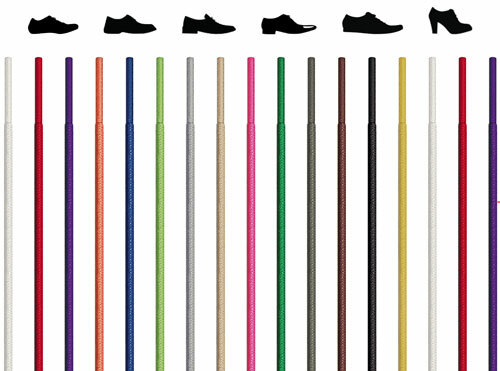 These have the stretch flexibility, the emphasis on durability, the freedom of choosing the ideal length. Some say that a six-pack starts in the kitchen. We say it starts in the wall safe where we all keep our most prized oval shoelaces. Our laces last forever. Seriously. We're not exaggerating. Thousands of years from now, when extraterrestrial cosmonauts land on our planet in search of artifacts, they'll be confused, because your oval shoelaces will still look brand new. 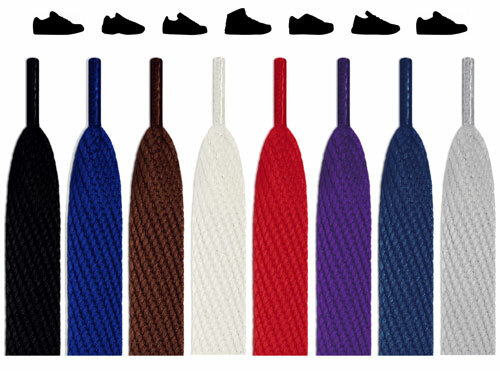 The tips at the end of the laces (the aglets)? Could not be more solid. The materials? Highest of qualities. Put simply, when the last evidence of humankind is overtaken by the wilderness, when the sun itself expands into a Red Giant to swallow our planet whole billions of years from now, our laces will still remain, worn by radioactive, space-traveling cockroaches. The durability of the oval shoelaces means that these babies can handle the most rigorous cross-country excursion your trainer could plan. Forget indoor rock-climbing walls, these were made for the sheer side of a cliff. But they're also our certified by OEKO-TEX® STANDARD 100 testing. 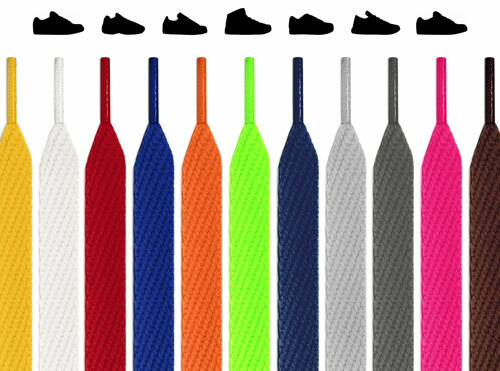 All the information on that can be found here, but to keep things short (like a 7-minute workout), we use bleach, dyes, and other chemicals for our laces in the greenest possible way. Mean, green, workout-friendly products machine. 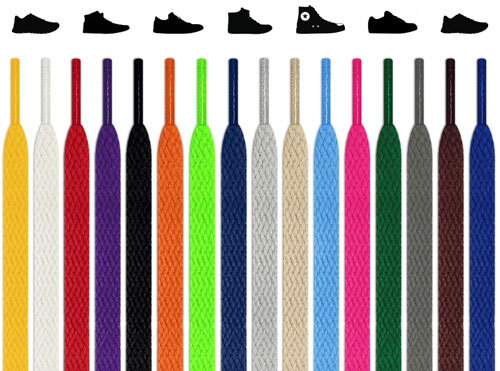 Feel free to order our laces to try out for just a fitness session or two, or keep them for ten years and then return them. Our return policy does not have an expiration date, and we sell every pair for under four dollars. And they're under four dollars specifically to attract members of the sub-four-minute mile club.